Indonesia executed four more drug traffickers this week. Another 10 were taken from their cells on the notorious Nusakambangan prison island at Cilacap, Central Java, and brought to the killing field. Without explanation, these 10 were taken back to their cells. 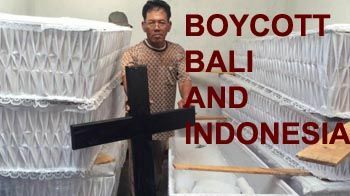 In all, 16 coffins were ordered. 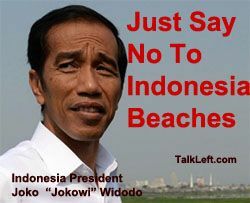 Indonesia is not publicly identifying who is next. Those killed included two Nigerians, a Senegalese and an Indonesian man. Those executed on Friday were Indonesian Freddy Budiman, as well as Nigerians Seck Osmane, Michael Titus Igweh and Humphrey Jefferson Ejike Eleweke. 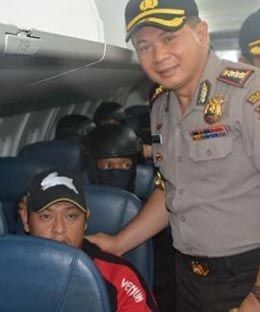 Here's the police chief of Densepar, Indonesia, Djoko Hari Utomoposing, posing for his "happy snap" with Andrew Chan, on the Wings Air plane en route to the death island where Chan, Myuran and 8 others will be killed.